Hello! It’s starting to feel like Fall in San Francisco… which is really one of the best times of the year (very little fog and clear skies). 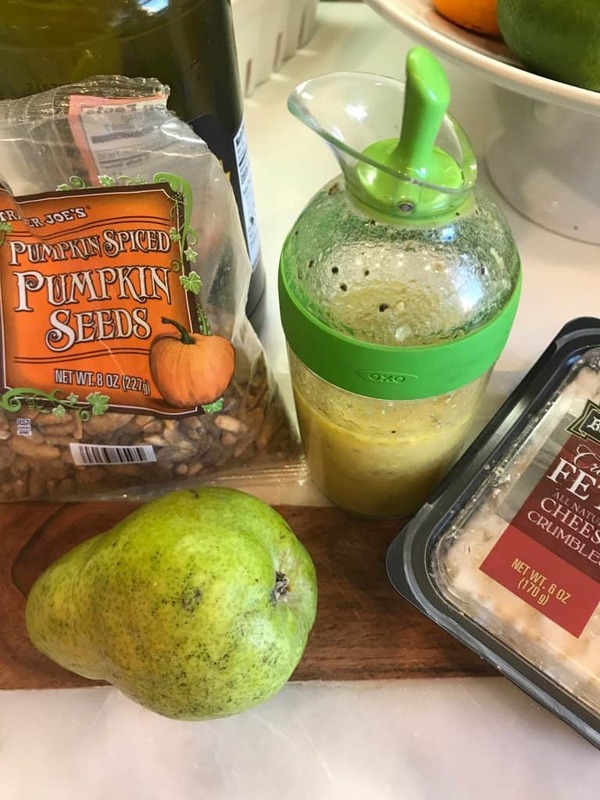 This is a simple recipe for an Autumn Salad that I created recently using these ingredients from Trader Joe’s. My husband loves it…and he’s a great cook. It makes two servings but you could easily double or triple it! 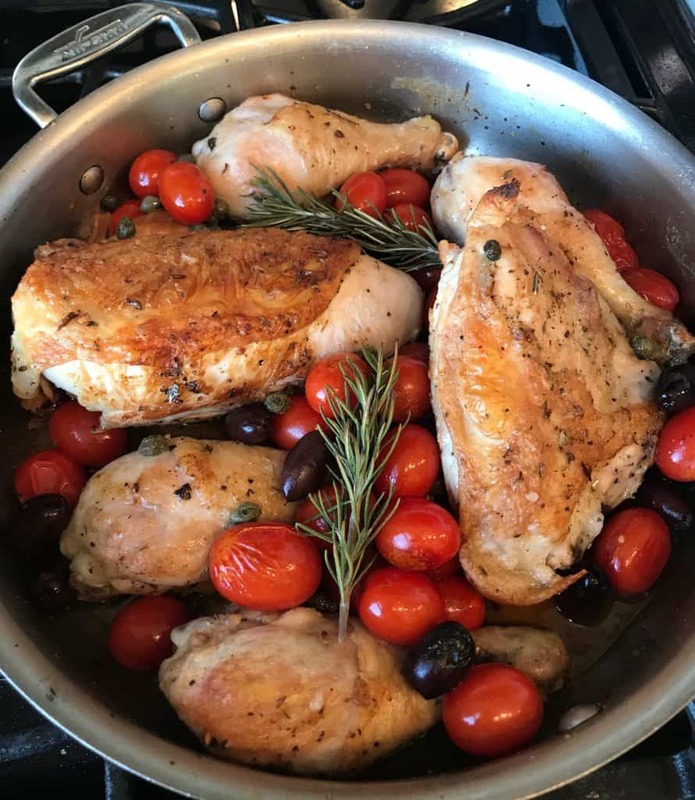 I also served this one pan Mediterranean Chicken (that I’ve made many times) with the salad. It’s garnished with rosemary sprigs…gives the kitchen a nice fragrance. This is the salad below just before I drizzled on the dressing. 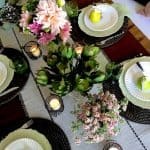 There is also a little glimpse of a new Project Design post coming THIS Thursday: Five Tablescapes to Try Before Thanksgiving. Be sure to stop by on Thursday for some inspiration from four other great bloggers. How To Make Gourmet Dinners for A Crowd! That looks delicious. Especially the chicken, with those cherry tomatoes. So pretty. It’s a great way to use up tomatoes if you have extra. My mouth is watering! 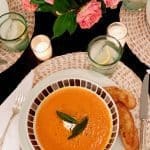 Going to make both of these delicious dishes and so appropriate for fall! That salad is calling my name. 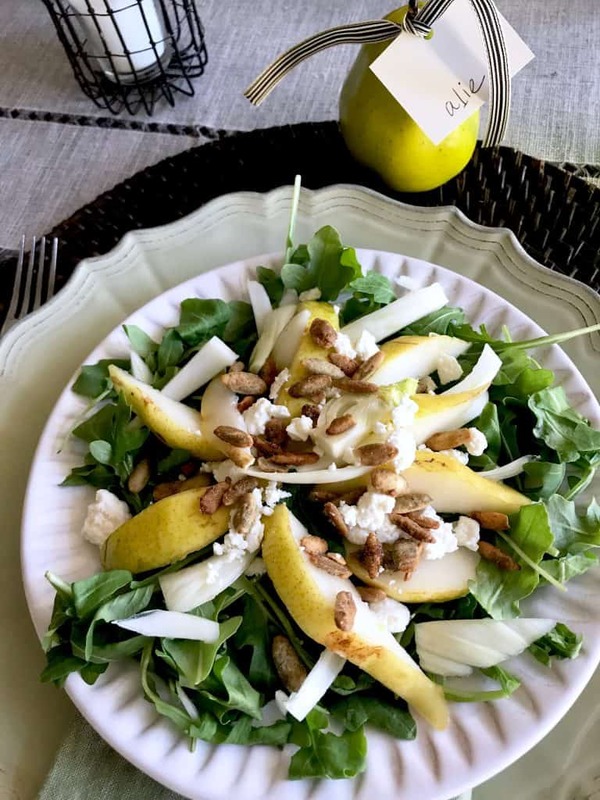 Fennel, feta & ARUGULA plus pears…YUM! My neighbor just brought over a big bushel of pears from a tree in his garden so I’m currently looking for ways to use them up. This recipe was perfect timing. Your chicken looks DELICIOUS too! Salad looks delicious! I’m going to try it this week. Have you ever tried Walnut oil in your dressings? I use almost the same ingredients as in your dressing but substitute walnut oil for 1/2 of the olive oil. Lots of nutritional benefits! Thanks for the chicken recipe too! Looks great. 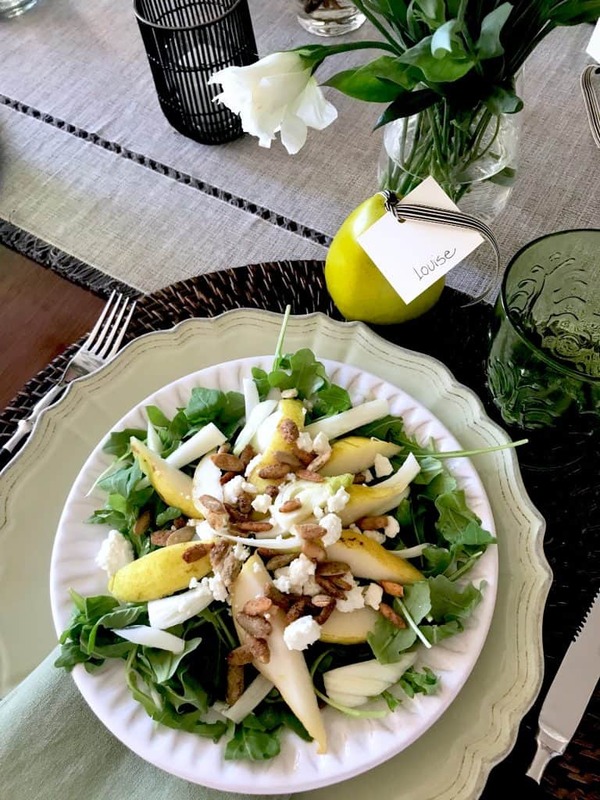 I love walnut oil… I use it when I have walnuts in the salad but it would be great as you recommend here, Linda! Whoa, you’ve got all the bases covered. The table is gorgeous. the food is also. 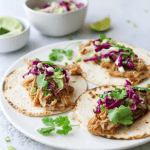 The recipes look delicious and easy. Good going! I must try. Thanks so much. Those recipes are pretty easy!